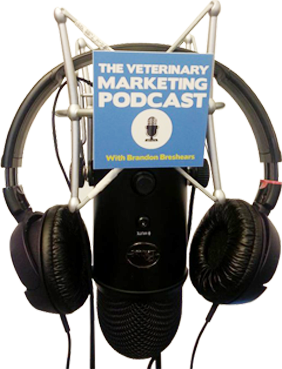 Should your veterinary practice’s marketing efforts focus on growing organic traffic or paid traffic? That is a question you may not be asking, but there is a good chance that what you’re doing to market your practice is pushing you one way or the other. First what is organic traffic? Well I define organic traffic as people visiting your website who you have no control over, so that means search engine traffic, social media distribution that you don’t pay for, direct type in traffic and referral from links in other sites. Paid traffic is what you pay for, so adwords, facebook ads, twitter ads, bing ads, etc. I know that lots of practices want to get as much organic traffic as possible and focus on SEO. While I think SEO is great, I think for most practices it is hard to scale, especially in the ways that they are executing it. So I jump into several topics that you’re definitely going to want to consider when you’re deciding what type of advertising to focus on and invest in. Items mentioned in this episode. The 3 Part Training Series On Content Creation Sign Up Now!